Inspire 45 is a wide landscape model with the same generous view of the flames. 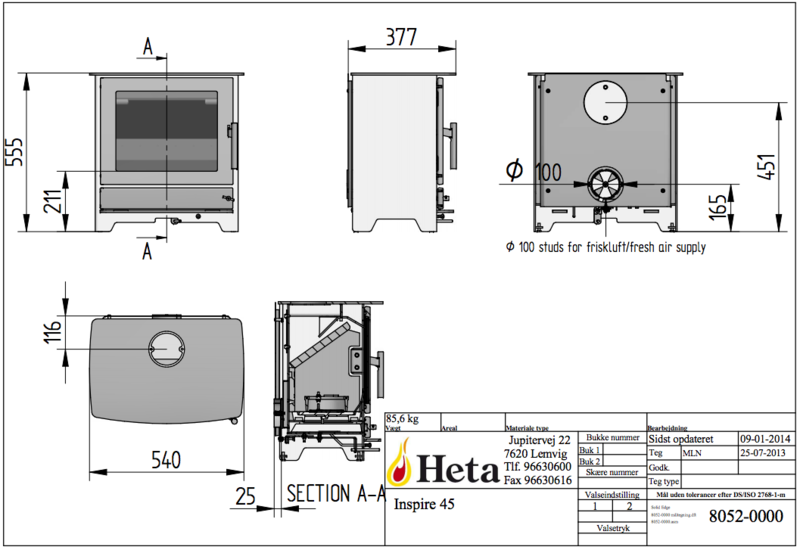 The combustion chamber can take logs up to 42cm and has an efficiency of 84%. It shares the same precise air control as the Inspire 40 throughout its 2.5 – 6.5kW output range.